“I’ve been visiting Disneyland almost yearly since I was 4. I am no stranger to the magic, attractions, and treats the park has to offer. 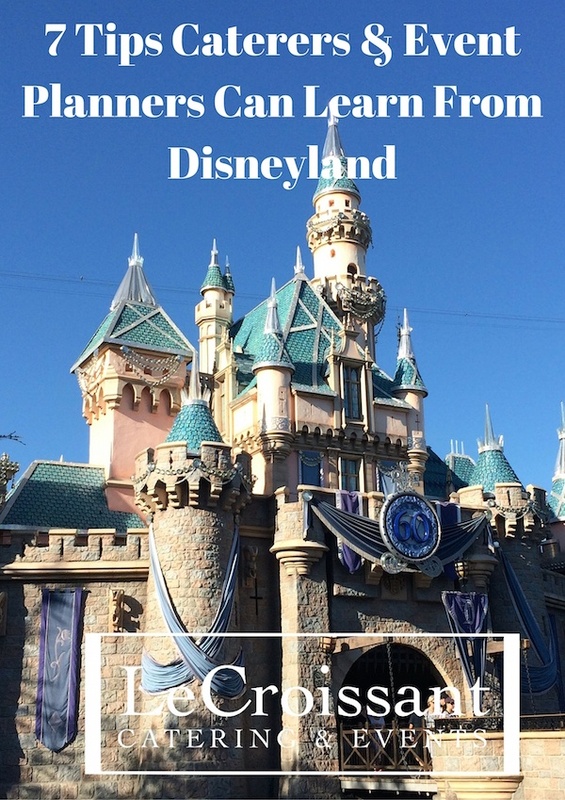 However, beyond the shiny castle and your favorite characters roaming the grounds, Disneyland is a major operation to carry out every single day of the year; an organism that must run smoothly and quickly to keep on top of the show. With an average of 16 million guests per year, Disneyland has the large task of feeding – and appealing to the senses – of all these guests! 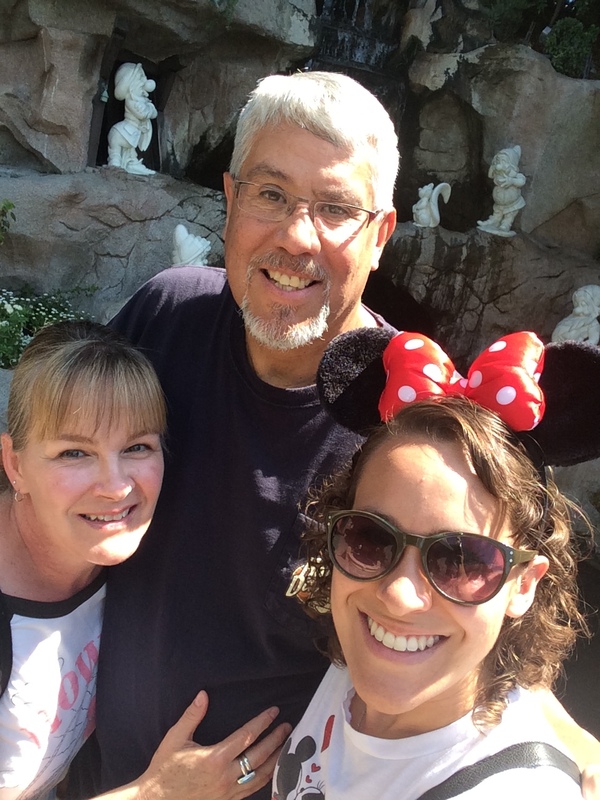 My most recent trip to Disneyland with my mom and dad. So what can caterers and event planners learn or adopt from Disney when it comes to feeding and appealing to guests? Disneyland, and Disney in general, is a brand with a die-hard loyal following. How can you as a caterer or event planner, infuse the same wow-factor into your events and make your guests loyal to your company? Disney is all about telling a story. Everything Disney does is to reenforce the story of each ride, land, restaurant, etc. 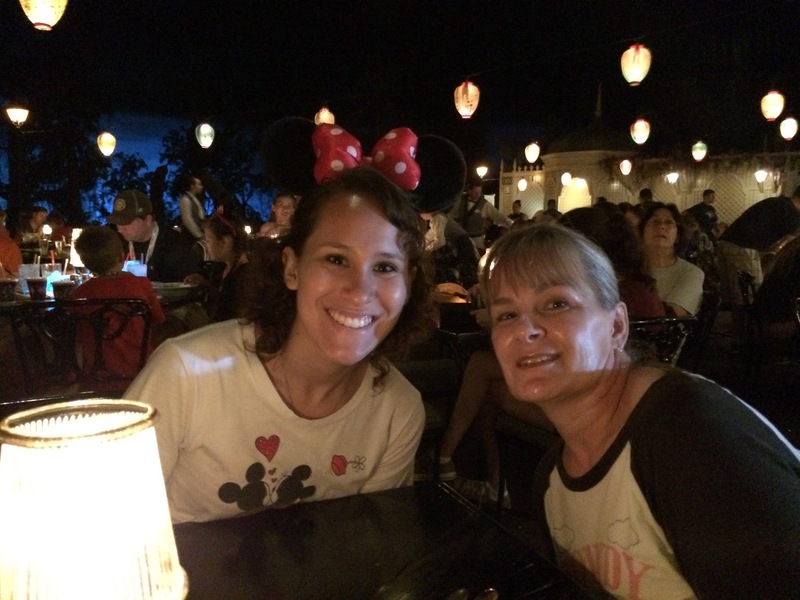 Disney’s story-telling tenet leads to an atmosphere that is immersive and believable – you can’t help but believe you are flying through Neverland or dining by lantern-light along the banks of a Louisiana swamp late at night surrounded by fireflies. 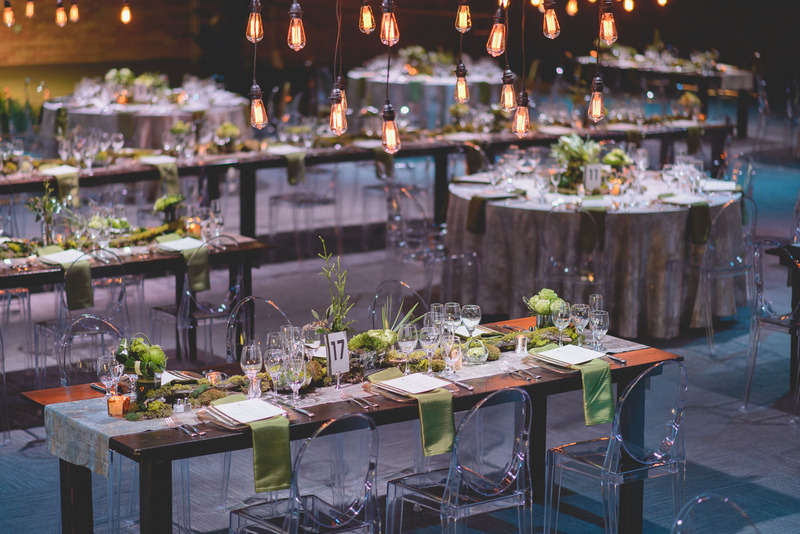 When it comes to planning your event, think “How can I create the right atmosphere?”. Come up with a story for your event and see to it that each element of your event – location, design, décor – in some way contributes to an atmosphere that makes that story believable. Once you’ve put all this thought and attention into your story, why stop the breaks and cut corners? 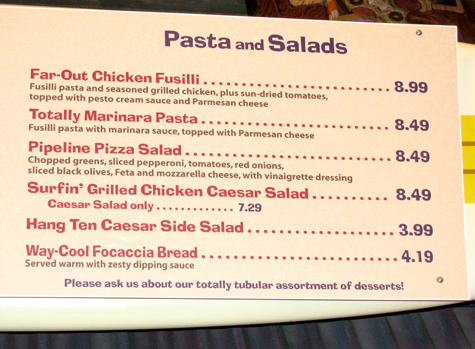 Even down to the name of menu items, Disney does not skimp when it comes to attention to detail. That is where the fun of an event comes to fruition: when guests notice the small intricacies that make your event fun and enveloping. We at Lux Catering and Events get a thrill at the creativity that goes into brainstorming the small details of an event, including our menus; we had a lot of fun earlier this year creating our Great Gatsby menu with loads of details just in our menu description! Disney is feeding a lot of people every day and as a captivating entertainment machine, it does not work to have lousy food tainting the magic of the ambiance. While Disney does offer more traditional fast food options that rarely differ by location (hamburgers, hot dogs, etc. ), they also provide a wide variety of foods like Italian, down-home comfort foods, Mexican, Chinese, and barbecue. These choices usually are offered in cafeteria-style dining establishments that make getting a delicious meal quick and easy! 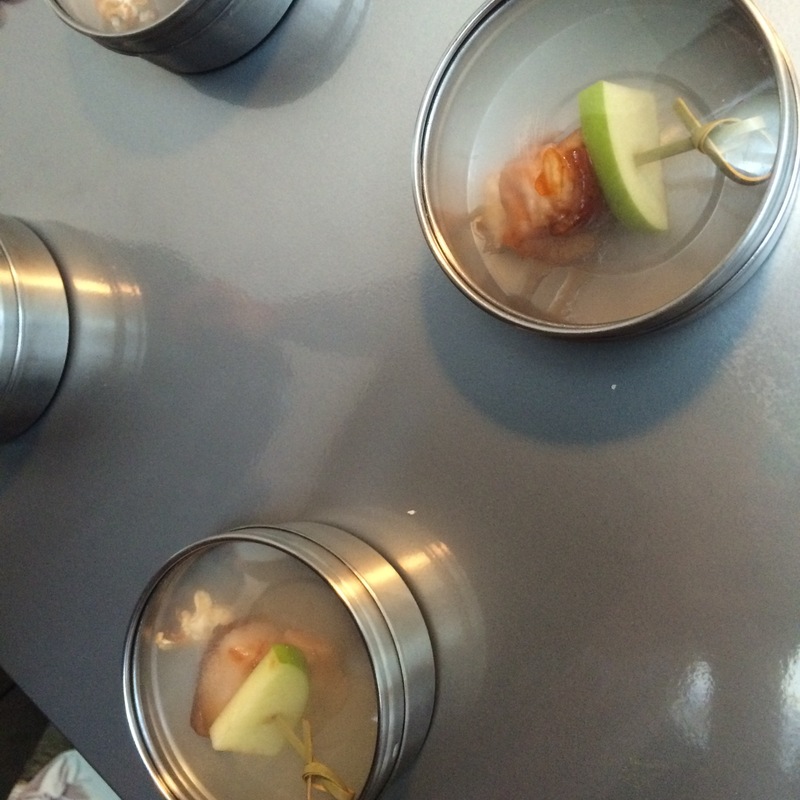 For caterers, a fun way to make delicious food quick to prepare and serve is to offer small plates! We have found small plates allow us to pack a lot of flavor into a small package quickly, as well as allowing us to serve a more diverse menu offering for any single event. Guests will love being able to sample several different flavors for their meal, without having to wait. As far back as Steamboat Willie, the Disney company has been known for innovation. Disney parks are always looking for new and engaging ways to entertain their guests, whether it’s via an attraction, a parade, a show, or food. 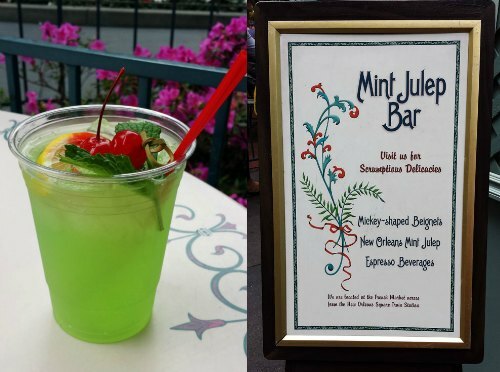 Most recently, Disneyland introduced several new drinks that featured flavored foam. These allowed Disney to pair different flavors to create a complex, yet yummy treat for guests on the hottest of California days. 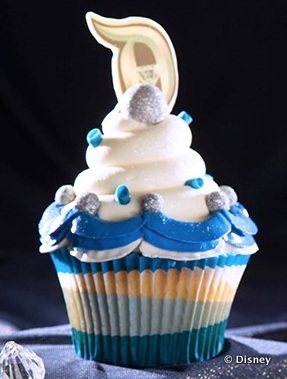 Disney did their research going into these sweet treats by investigating what restaurants and catering companies were creating to make the guest experience new and exciting (a case of which came first, the chicken or the egg, perhaps?). At LeCroissant, we find excitement at researching what others in our field have come up with that reimagines how to serve food or a new taste for guests to explore. We recently had a blast offering a honey-glazed pork belly appetizer with a slice of granny smith apple and a salted caramel popcorn served in a covered metal tin, smoked with a smoking gun before lids were added. 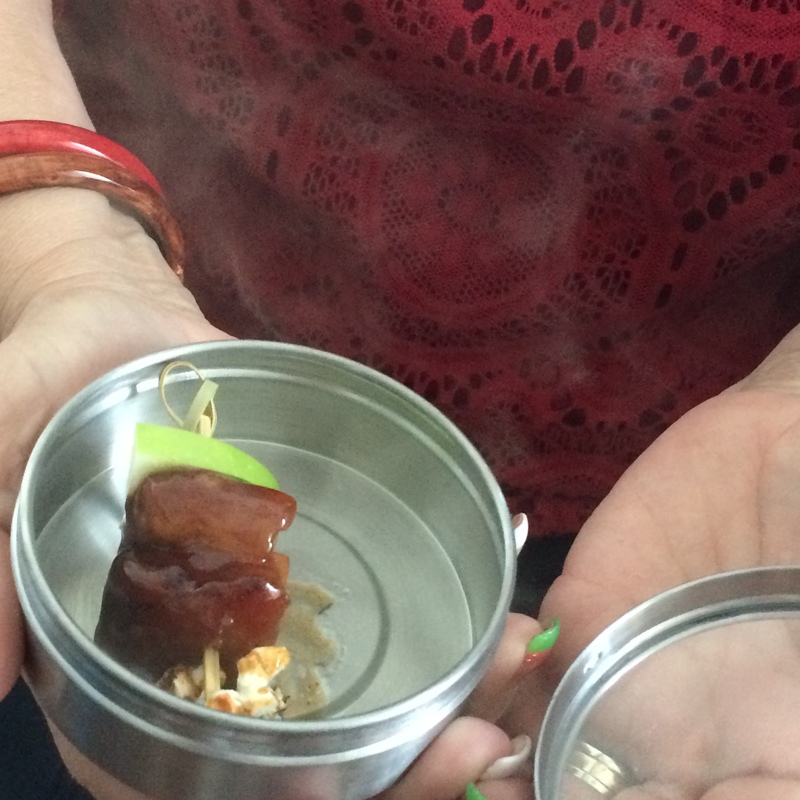 The smoke escaped as guests opened their tins to create an aromatic, savory experience! Disney has been offering some meals and treats for decades – items guests look forward to enjoying each visit (how would you feel if Disneyland stopped serving churros, popcorn, Mickey-shaped ice cream bars, and massive turkey legs?!). However, the guest’s love of these treats does not stop them from offering new items. Disney is very good at revamping their menus when they feel a menu has become outdated, but even more important, Disney is better at offering new options continuously. Whether it’s the holidays or their 60th anniversary, Disneyland makes sure to provide new and delicious menu options. As a caterer, it’s wise to always be thinking how you could improve your menu. Provide a special menu that features delicacies for the holiday season and especially, create your menus with the seasons in mind. Make your menu as fresh as possible by changing what you offer each season based off which produce is at peak availability! I’m curious to know how many new visitors to Disneyland are surprised to find loaded baked potatoes, fantastic fried green tomato sandwiches, and other non-traditional amusement park meals. As I’ve said before, Disney still offers the safe bets in amusement park food items, but they also strive to provide surprising – and delicious – alternatives. As a caterer, don’t always stick with the traditional and expected catered food items. People have come to expect catering to be assorted cheese and crackers, a fruit display, and crudités. How impressed would guests be if instead, they began their meal with a self-serve mashed potato bar!? Or if you must serve the traditional fare, prepare it in a new and surprising way. Guests will have fun and remember you for it! This may be the most important and ties back to #1: story. Disney holds themselves responsible with the task of finding how they can get their food to adhere to “the story” of any given area in the park. Some of my favorite examples of this is the white chocolate covered macaroons that oddly enough look just like the Matterhorn, Mickey-shaped beignets and mint juleps in New Orleans Square, and pretty much anything offered at the Cozy Cone Motel in Car’s Land (Chili “Cone” Queso served in an edible, cone-shaped bread bowl? Who comes up with this?! Oh yeah, Disney…). Do you know of any other actions or tenets of Disneyland that could be applied to the catering or event planning industry? Have you implemented any of these tips into your business? If so, drop us a comment! We’d love to hear your experience.